The FRER Lan Gateway allows to connect to an ethernet network (using a single ip adress ) up to 32 FRER devices fitted with RS485 interface. The new International Standards IEC61850 defines a communication protocol oriented to the supervision, control and protection for the generation systems, transmission and distribution of electricity. 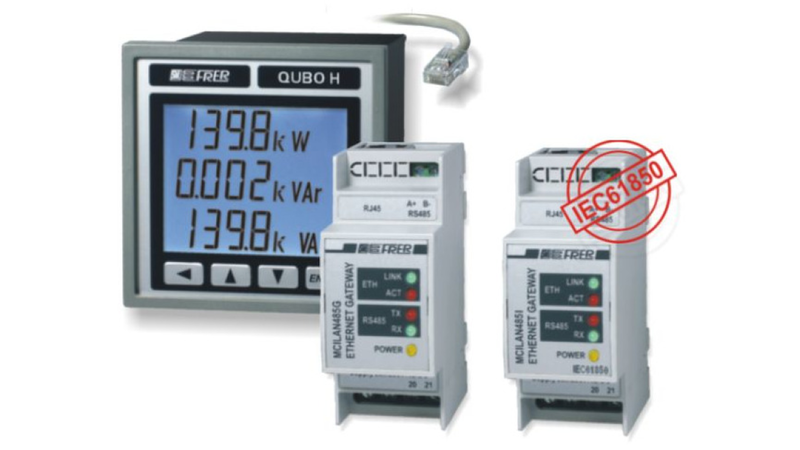 FRER , SERIES "NANO".. MULTIFUNCTION METER LCD 3 DIN-RAIL !